Killing Eve has been renewed within hours of its season two premiere on TVNZ 2 but its Monday debut was out-gunned by Three’s The Rookie. It averaged only 1.0% of TVNZ 2’s target audience, 18-49 year-olds, and 2.0% of Three’s core demographic, 25-54 year-olds. The Rookie averaged 3.6% and 4.2% of these demos respectively. Of course, it had the advantage of airing off the back of Married at First Sight (5.8% of 18-49, 7.5% of 25-54) and had a half-hour head start on Killing Eve. 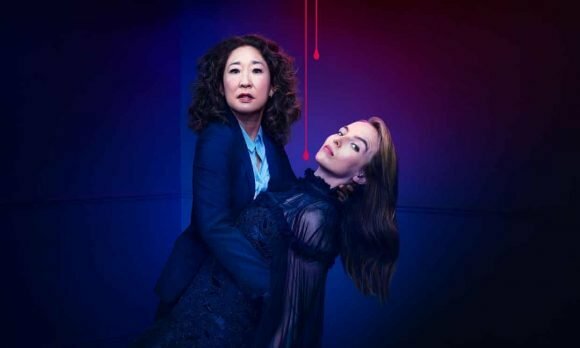 Killing Eve also had been available to stream on TVNZ OnDemand since 1pm Saturday. Last night’s broadcast did manage to win its second half-hour in the 18-49 and 25-54 demos as well as with household shoppers with kids. MAFS and The Rookie’s popularity followed Three’s The Project thrashing TVNZ 1’s Seven Sharp in all the key commercial demos at 7.00. In the demos that matter most, The Project averaged 5.6% of 25-54s, which was two points higher than Seven Sharp’s average, and 4.3% of 18-49 vs 2.4%. Both rated behind Shortland Street, which averaged 6.5% – 11.7% of the core demos, while its lead-out, Mom, finished third to MAFS and TVNZ 1’s Fair Go and Driving Test across the board. At 8.30, TVNZ 1’s Manifest continued its disastrous run, with 1.7% of 25-54s and 0.7% of 18-49s, while TVNZ 2’s Gordon Ramsay’s 24 Hours to Hell and Back averaged 2.1% and 1.7% of these demos respectively. Three won the night in all the key demos, with shares of 24.5% – 27.2%. Wow, Killing Eve ratings. I did not see that coming. Especially given the heavy promotion ahead of broadcast. Any idea how it went overseas? In the US, where it airs on BBC America, it scored “an all-time series high“. In the UK, it’s yet to receive a BBC air date. Not overly surprising IMO. It was a TVNZ OD exclusive originally before making its linear bow later in the year. Most people who watched on OD last year will probably go back to there and chances are a lot of new people will do likewise. That’s assuming the OD numbers are good of course, haha.